With potentially 14 models in the revised line up, the new 2019 Mazda CX-5 range goes on sale from next month, available in Windsor Galway Mazda. The new 2017 Mazda CX-5 has been rated as one of the safest family cars drivers can buy. 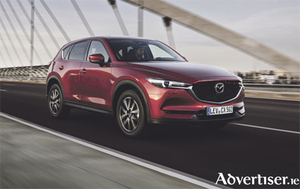 Building on the success of the outgoing CX-5, Mazda says its new CX-5 has been designed to bring a new dimension of driving pleasure to SUV customers. 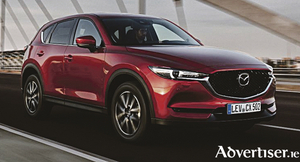 Building on the success of the outgoing CX-5, Mazda says that the all-new CX-5 has been designed to bring a new dimension of driving pleasure to SUV customers. It arrives here in early June. 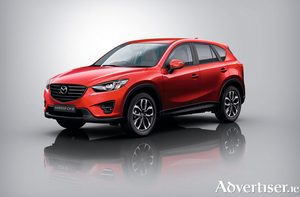 The award-winning Mazda CX-5 continues its evolution as the best of small crossover SUVs. 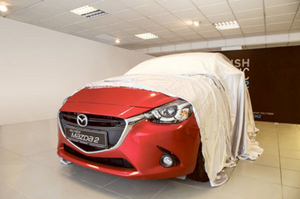 The all-new Mazda2, the fourth member of Mazda’s current model generation with SkyActiv technology, is now on sale in Ireland with first customer deliveries to be made in March 2015. 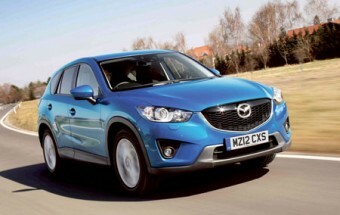 Mazda recently enhanced its CX-5 model line-up, its award-winning compact SUV. And the all-wheel drive (AWD) version also joins the range in CX-5 ‘Sport’ trim, with a price tag of €35,595. It comes with very generous levels of standard specification featuring 17” alloy wheels, climate control, cruise control, Bluetooth, parking sensors, and a 5.8” touch screen. Mazda has launched its new CX-5, a compact SUV crossover model, priced from €25,195 ex-works for the entry level 2.0 (165bhp) 2WD Executive petrol version and 2.2D 2WD (150bhp) Executive model. Mazda has just launched their all-new CX-5, a compact SUV crossover model. 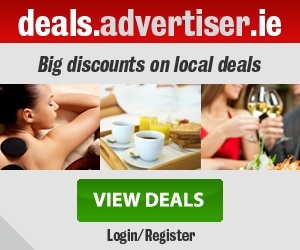 Priced from €25,195 ex-works for the entry level 2.0 (165 bhp) 2WD Executive petrol version and 2.2D 2WD (150 bhp) Executive model. Mazda has just launched its new CX-5, a compact SUV crossover model.